Meditation quiets the busy chatter of the mind and allows the right-hemisphere of the brain to activate to a higher degree along with greater function of the pineal gland. When these areas of the brain are engaged, we are able to experience higher levels of creativity, empathy, and intuition among other things. 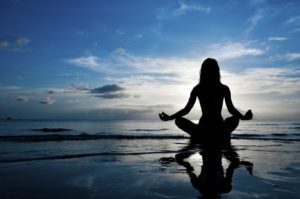 Many have found meditation to be an effective technique for reducing stress and anxiety and achieving higher levels of physical, mental and spiritual well-being. 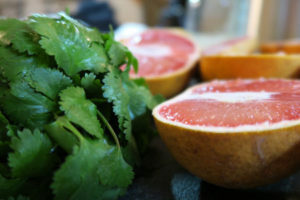 Raw fruits and vegetables are amazing tools for cleaning out and detoxifying the body. When you flush out the body with a diet rich in alkalizing, water-rich fruits and leafy green vegetables, you are priming the body for a transformation that can’t be described in a blog post; you must experience it to understand it. When you clear out accumulated toxins throughout the body, the mind and intuition become stronger as a result. In addition to the cleansing properties of these foods; fruits, berries and melons in particular contain large amounts of flavonoids which are essential for promoting healthy levels of steroids and hormones in the body. This can stabilize our emotions and help the mind stay balanced and open to receiving intuitive signals. Even small amounts of time spent in the woods or nature have shown to improve cognitive function and physiology. It is almost like a reset for the brain and your emotional body, as it reduces stress and anxiety. While you’re out in nature, you might as well increase the benefits by going for a walk. Walking in nature gets more oxygen to the brain, supports a healthy nervous system, promotes blood and lymphatic circulation and tunes you in the healing frequency of Mother Nature. Laughter is truly medicine that we can all benefit from. Patients who laugh more heal faster, students score better on tests, memory improves and we generally experience a greater feeling of well-being. With lower stress and anxiety levels through genuine laughter, we allow the body to release the tension that creates mental and physical obstructions to the energy flow within the body. Dissolving the obstructions with laughter will clear out negative energy and strengthen our connection with intuition. Self-expression through creative arts can have similar effects on the body and mind as meditation does. Whether you like to draw, paint, write, sing, dance, or exercise, you can tap into a part of your consciousness that you didn’t know was there. In sports, when someone is, “in the zone” many times they feel so in tune with their body and environment it seems they can’t miss a shot or do anything wrong. Any activity that requires us to bring our focus and attention to the present moment has the capability of drawing out that seemingly super-human potential and intuitive connection that so many athletes report feeling. If you’re looking for guidance in any area of your life, give these five methods for reconnecting with your intuition a try and see where it takes you.